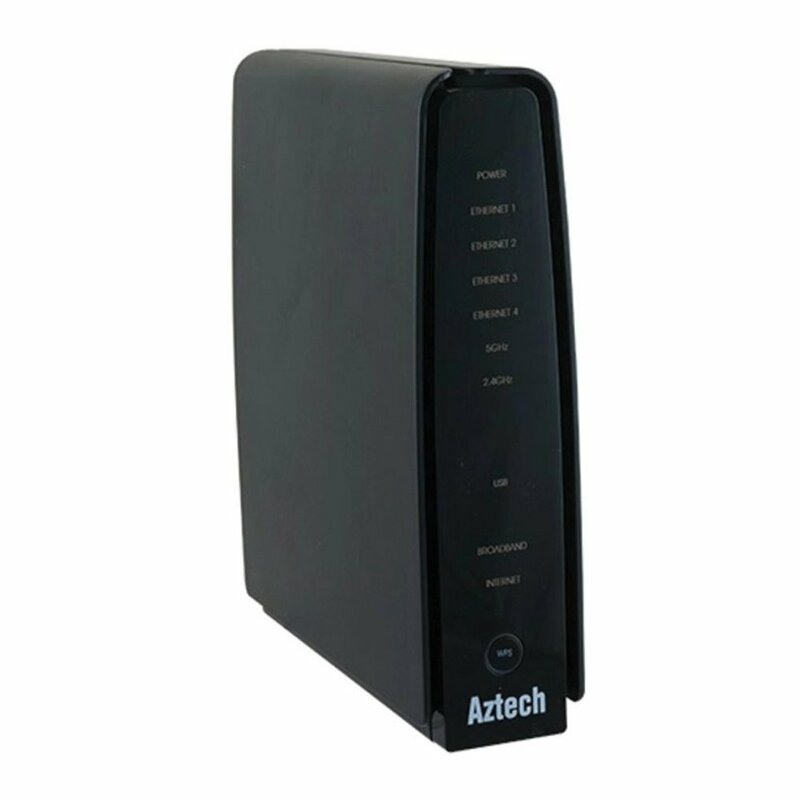 The Aztech DSL8800GR(S) is an integrated access device, which supports ADSL2/2+, 802.11b/g/n 2T2R wireless, 4-Port Gigabit Ethernet switch, 1-Port Gigabit WAN port for fiber ONT, and USB 2.0 Host. 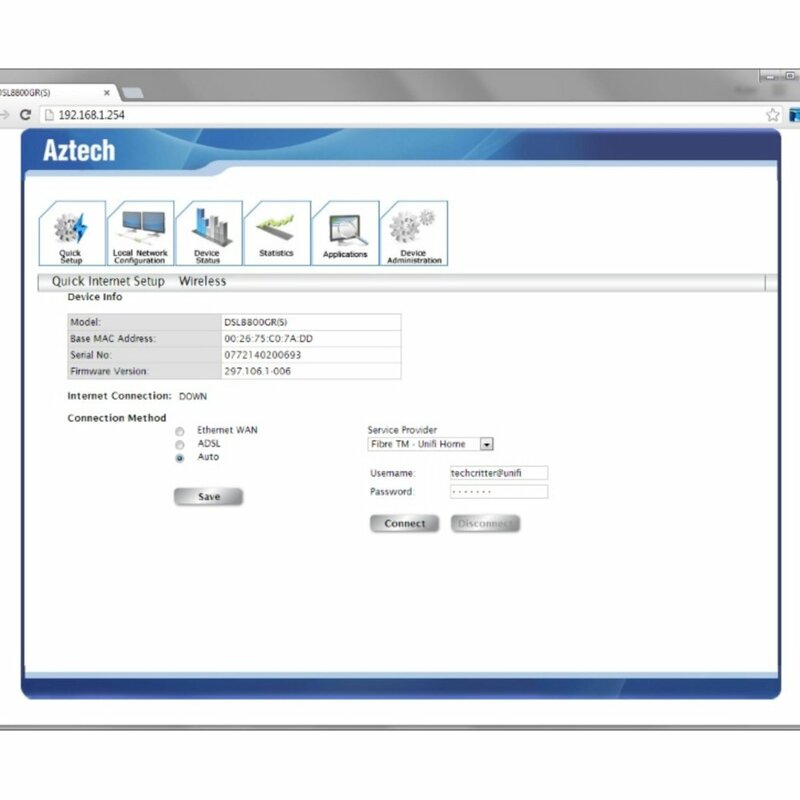 This Aztech next generation gateway supports ITU G.992.3 (ADSL2), G.992.5 (ADSL2+) and RE-ADSL Ready; and it has a solid interoperability performance with various brands of DSLAM. Aztech DSL8800GR(S) also supports Annex M standard, which support up to 3Mbps on the uplink. 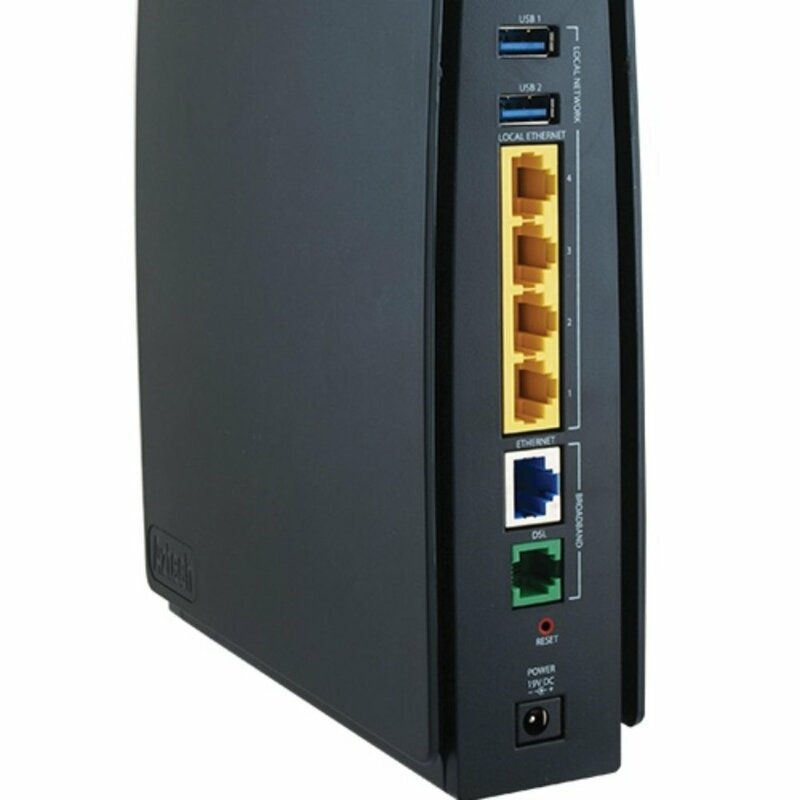 Aztech DSL8800GR(S) Fiber Gateway is an intelligent 4 port 10/100/1000 Auto MDI/MDIx Managed Switch. Security is provided via a double SPI (Stateful Packet Inspection) and Full Cone NAT support firewall. Hardware accelerated AES/WEP/WPA/WPA2 based encryption/MAC Address Filtering for Wireless links. Multiple session VPN Pass-through and DMZ support provide additional security support for telecommuters as well as allow flexibility while maintaining security against malicious hackers. Choices of Dynamic DNS. Server gives users the flexibility of hosting a web or an FTP server with various domain names. 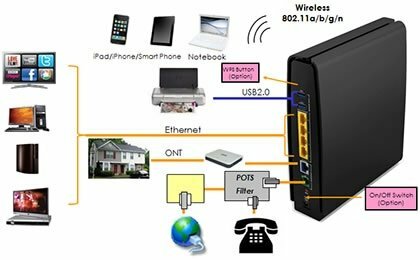 Aztech DSL8800GR(S) could function as a Broadband Home Router by connecting the 1000Mbps Ethernet WAN port with an ONT. 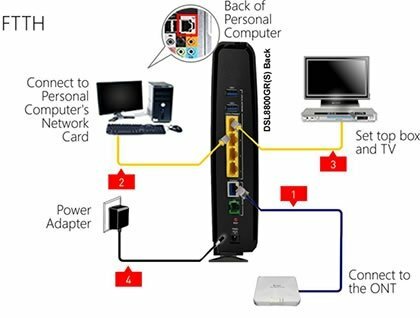 It extends the fast fiber connection to the house. It also supports multiple-VLAN management for delivering triple play services.